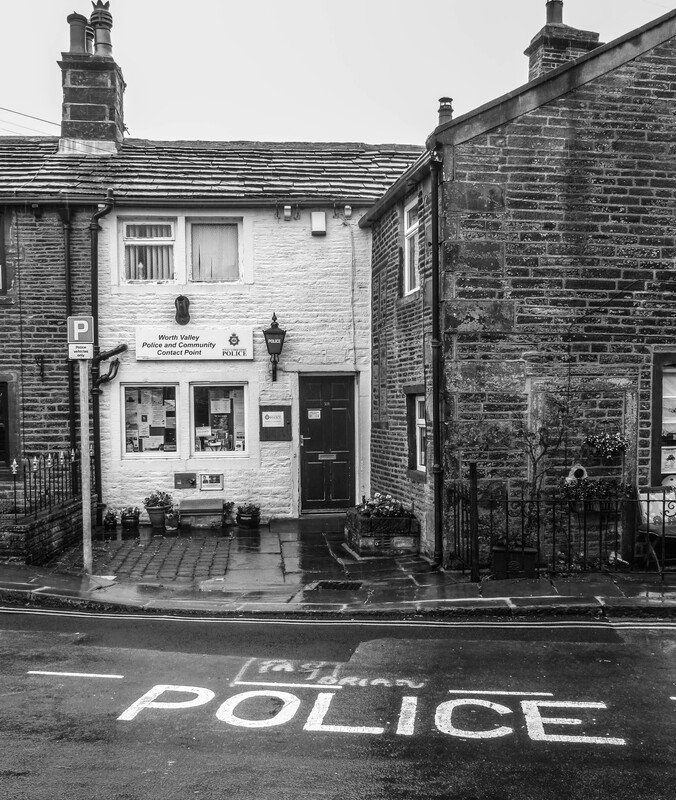 The Police Station at Haworth, home of the Brontes (including Branwell). Mark thinks it is twee but it just is what it is. Also, what is a drian? Mmm I think you may be on to something Inspector Single….. Inspector Single…. Hahahahaha! You two tickled my funny bone with that one! I am always drawn to shots of police stations. (Or should I say I’m drianed to them?) They fascinate me for some reason. I have no idea why. I do love this Chris! Well Superintendent Huggins it is because you are plain WEIRD!